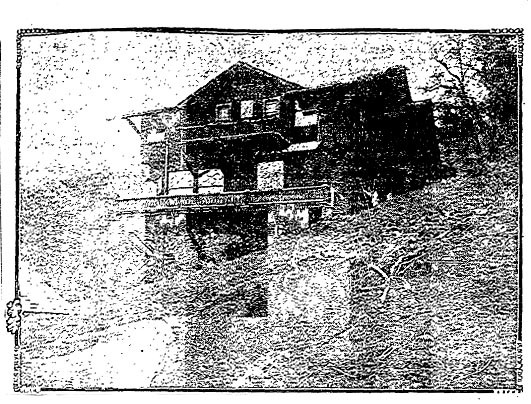 The Times features a hillside home “near the ostrich farm” in Pasadena. 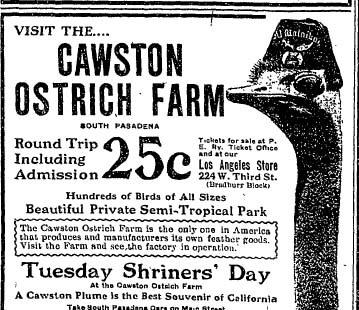 Presumably that was the Cawston farm in South Pasadena. (What, South Pasadena, again?) Unfortunately, many of the homes in the city of Los Angeles photographed for The Times in 1907 have been torn down and replaced by parking lots, warehouses, etc. Not so in suburban South Pasadena.